UPMS Workshop "Health and Citizenship: popular reflexions on participation" held on 03 and 04 December in Brasília - Brasíl. 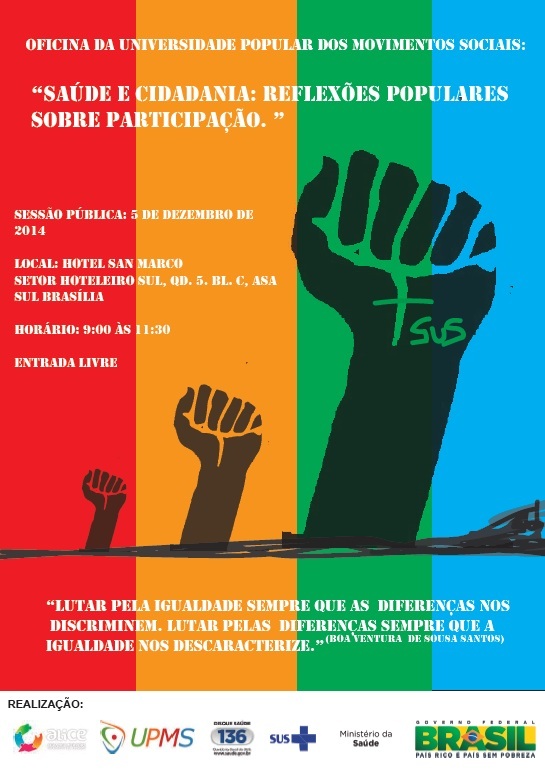 Workshop organized by Ouvidoria Itinerante do SUS. Check out the results of the sharing of knowledges in the public seccion on 05 December, Friday at 09:00 in Hotel São Marco, Setor Hoteleiro Sul, Qda 5, Bloco C, Asa.